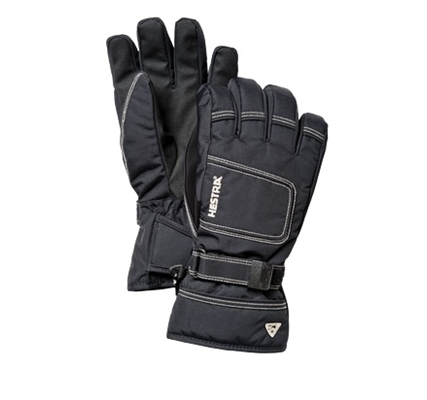 A durable and warm base model with friction material on the palm. Outer material: Upper section made from windproof, waterproof, and breathable HESTRA Proton polyamide fabric. PU Power Grip on the palm.